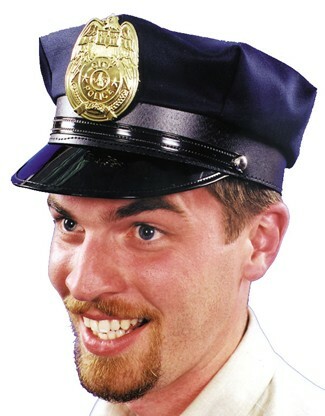 Cotton twill hat with shiny vinyl bill and realistic gold-colored plastic police badge attached. Use to finish off any authentic police costume. Adjustable one size fits most. 2 inch wide brim, 3 inches tall.